If you’ve waited until the last minute possible to file your tax returns, you’re not alone. 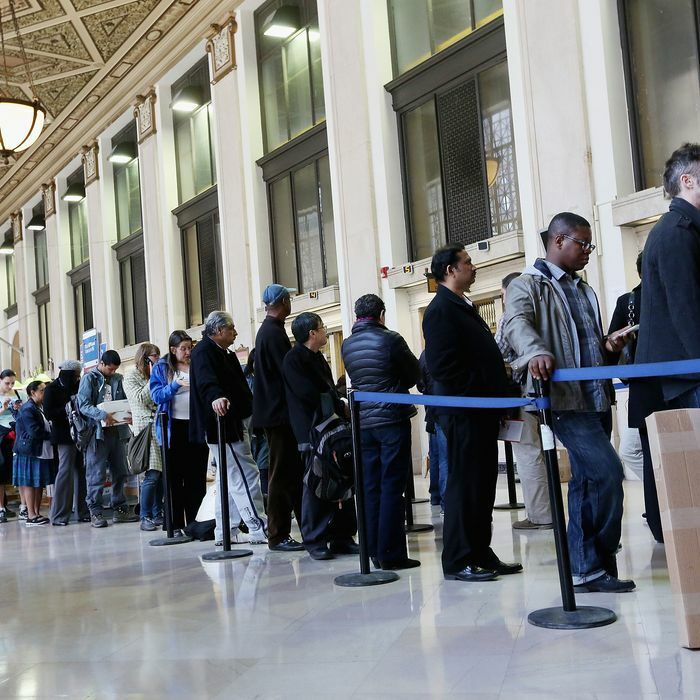 All over the country, despite promises to get on the ball early this year, hordes of people will line up at post offices tonight or frantically attempt to e-file their returns at home by 11:59 p.m. in order to avoid penalties. But surely, people who get paid to think about taxes all the time must not have these problems, right? Wrong. In fact, some of our nation’s leading economists and tax experts are just as delayed in their tax prep as the rest of us. Dear God. Why must I always save the taxes to the last day? Thaler, on the other hand, told us that he didn’t even attempt finishing his taxes by April 15. Every year, he takes an extension to buy himself until October 15. Tax expert Sam Brunson, who teaches tax law at Loyola University Chicago School of Law, told us that his method is a bit more organized, though he too had been rushed in recent weeks. Hopefully, the fact that even some of our leading money wonks have trouble finishing their taxes with time to spare will cheer you up as you’re hunched over TurboTax tonight, frantically looking for your last 1099 form before the deadline. Procrastination! It’s not just for dummies.